Many users have been asking how to add a list of taxonomy terms to their app and display the corresponding post lists. 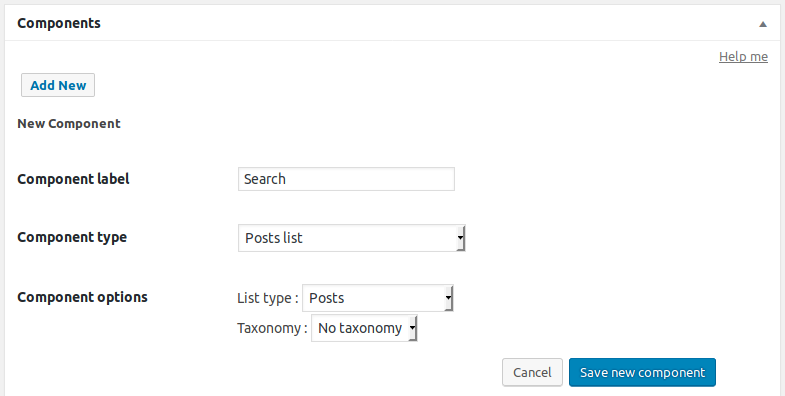 In this tutorial we’ll see how to achieve that and, by extension, how you can implement any post search based on taxonomies. 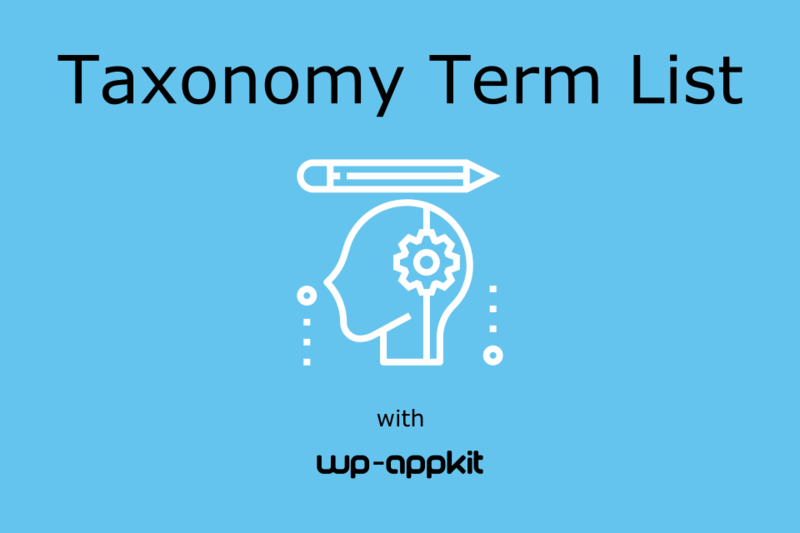 First we’re going to build the page that will display the list of our taxonomy terms. 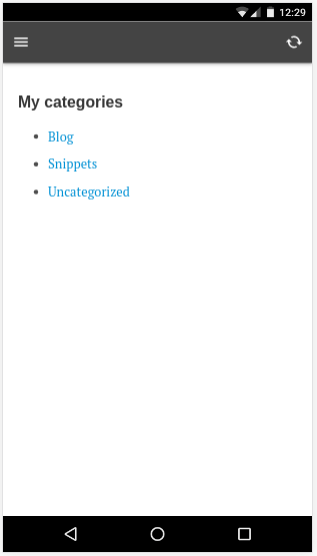 For this example we will use a taxonomy “Category” that has 3 terms “Blog”, “Snippets” and “Uncategorized” but the same would apply to any custom taxonomy and any number of terms of your own. Create a new WordPress page “My categories” (or any custom taxonomy name of yours) and publish it. You don’t need to set content for it (except if you need this content in the app) as it is not meant to be displayed on site’s Front-End, just in the app. 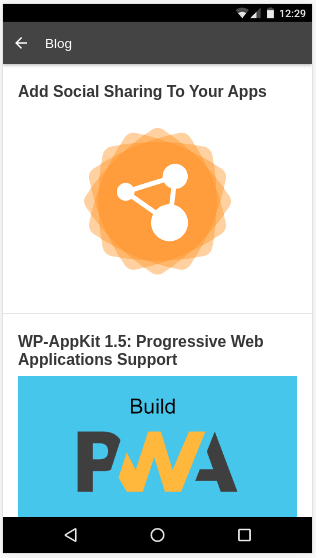 Then add this page to your app, as a component of type “WordPress page”. Also add this component to your app’s menu so that you can navigate to it in the app. Now if you preview your app, you can see that your page is there, but it does not display any term list yet. Let’s see how to attach term list info to the page’s data sent to the app. Taxonomy terms are now added to the page’s data, so that we can retrieve and display them on app side. Alright, now you should see your term list displayed in the app. But nothing happens when you click on terms… we should definitely do something about it. When you click on a term in the list, you’ll want to display the posts that correspond to this term. To achieve that, we’ll implement a search query to the server so that it can send us the posts that are linked to this terms, which we can then display as any other post list in the app. First, add a new component “Search” to your app of type “Post list” with the slug “search“. You can choose “No taxonomy” in the taxonomy field as we will set the taxonomy using hooks in a moment. Don’t add this component to your app navigation, it is just meant to handle our search query, not to be displayed in app’s menu. //Maybe do something if filtering went wrong. //Add our search params to web services that retrieve our search post list. * Add search params sent by the app to the search component's query. Ok, that was a bit of coding, but if you’re still alive click on a term in your app and you should see the corresponding post list display! And that’s it, we have now a working example of how to display the terms corresponding to a taxonomy and the posts that correspond to each term. You can find this same code implemented in the “Q for Android” theme here. Modify the term list template (page-my-taxonomy-terms.html) to change for example your term list into a select box displayed in a form, along with other taxonomies you want to filter on. Then in functions.js, replace the “link click” binding by a “form submit” binding, and set the “current_search” object according to the filters data submitted in the form. Finally in the “my-taxonomy-terms.php” php file, adjust the “$tax_query” array to your needs. We hope this tutorial will help you build great taxonomy (and more!) based searches. 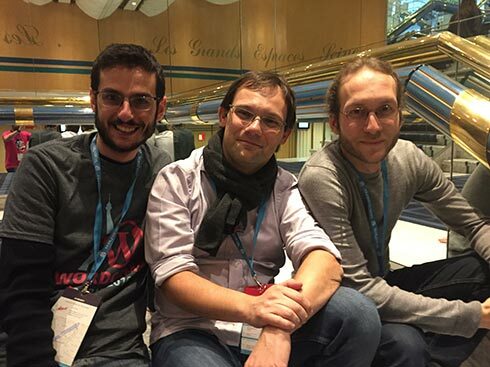 Happy app coding, and don’t hesitate to drop a comment for any question or feedback.